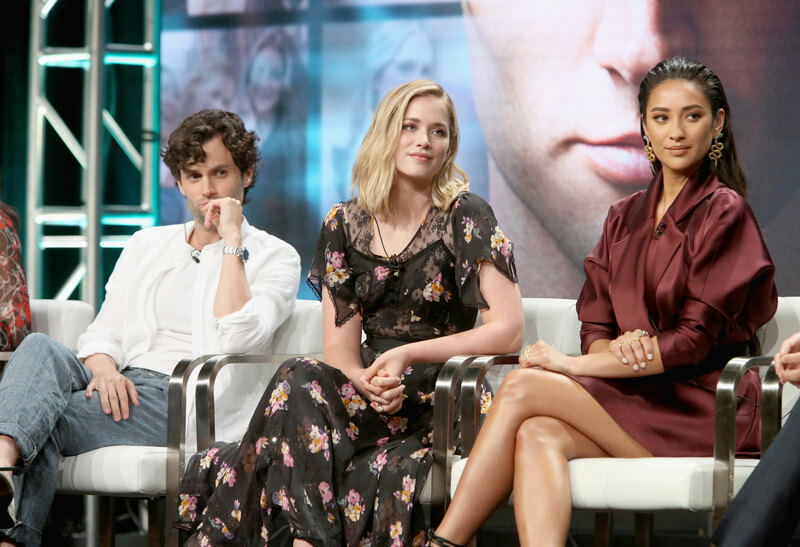 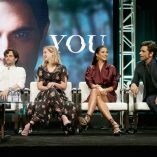 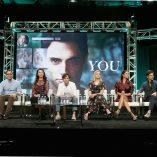 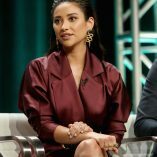 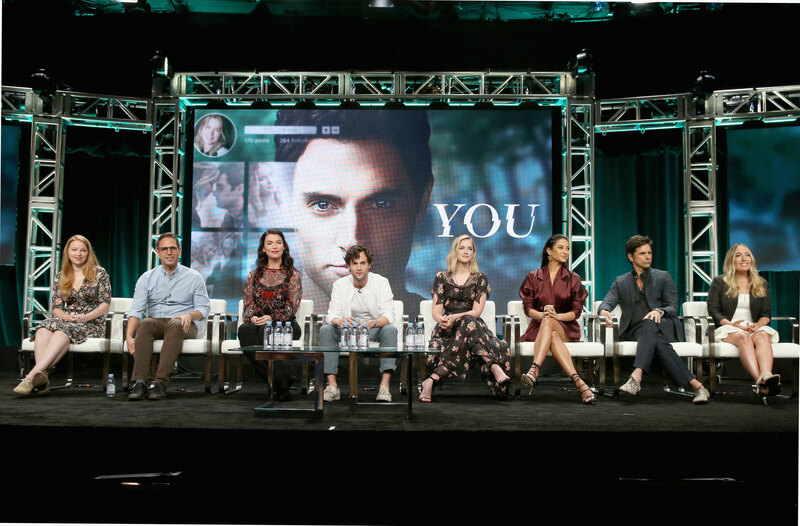 Images of Shay Mitchell on stage at the 2018 Summer TCA Press Tour. 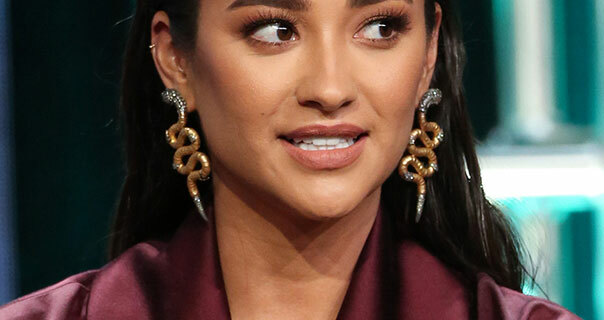 Shay wears a dark maroon satin jacket dress at the event. 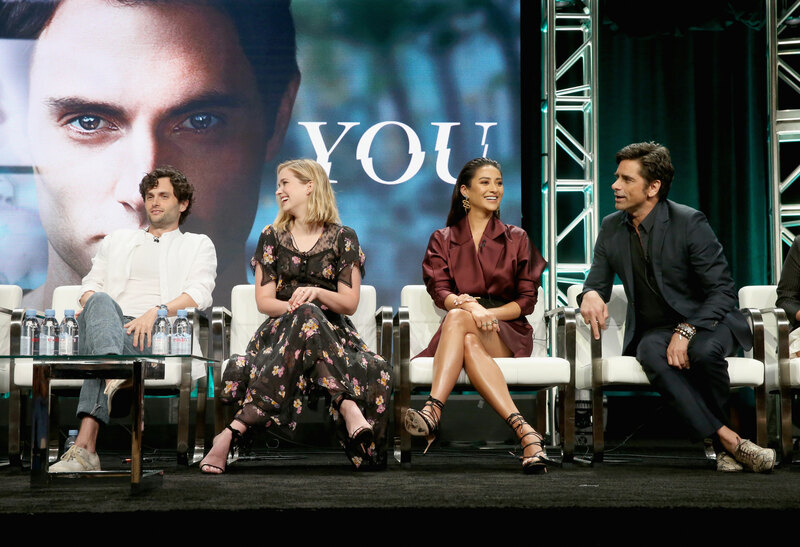 She appears at the The Beverly Hilton Hotel on the 26th July 2018.